A perfect tee for the season! 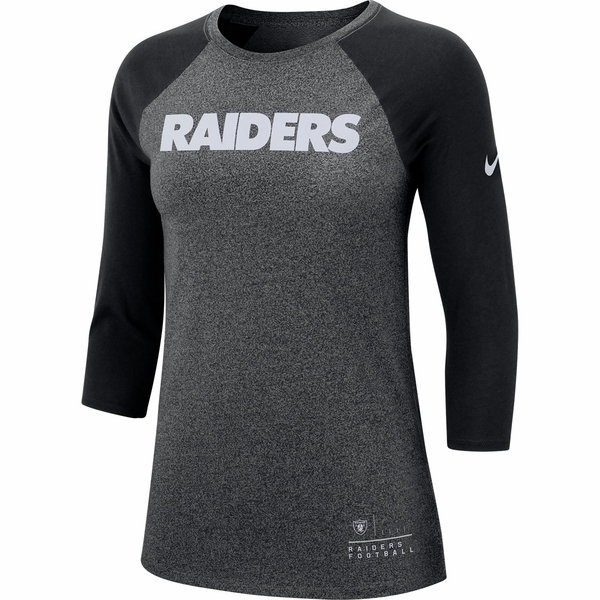 The Raiders Nike Women�s Marled Raglan Tee features a relaxed fit for fans to casually boast their team pride, with a stylish � sleeve, and Raiders� wordmark printed across the chest. 50% cotton, 50% polyester.